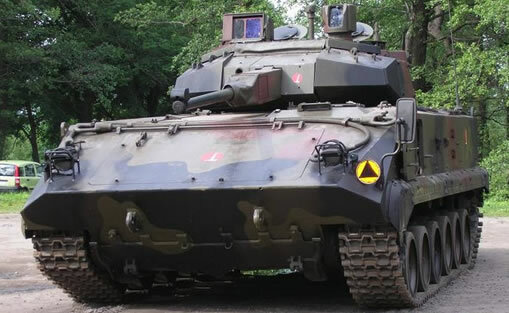 The Polish BWP-2000 Infantry Fighting Vehicle (BWP stands for Bojowy Wóz Piechoty – Infantry Fighting Vehicle) is a prototype Polish IFV developed from early 1990s to 1999 but eventually cancelled. Poland is gradually replacing the former Soviet designs with Western-type systems. Two prototypes were made and in 1997 one of them was fitted with a fully developed and tested Italian Oto Melara T60/70A turret. 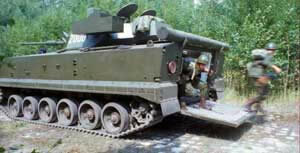 This turret was developed as a private venture by Oto Melara and as of mid-2005 it has remained in prototype stage. By mid-2005, there were no plans for the Polish BWP-2000 IFV to enter production for the Polish Army as the upgrade of existing BMP-1’s to the Puma and Finnish 8×8’s known in Poland as the Wolverine. 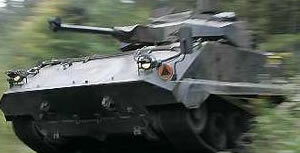 Poland has now started up the Anders IFV development program.